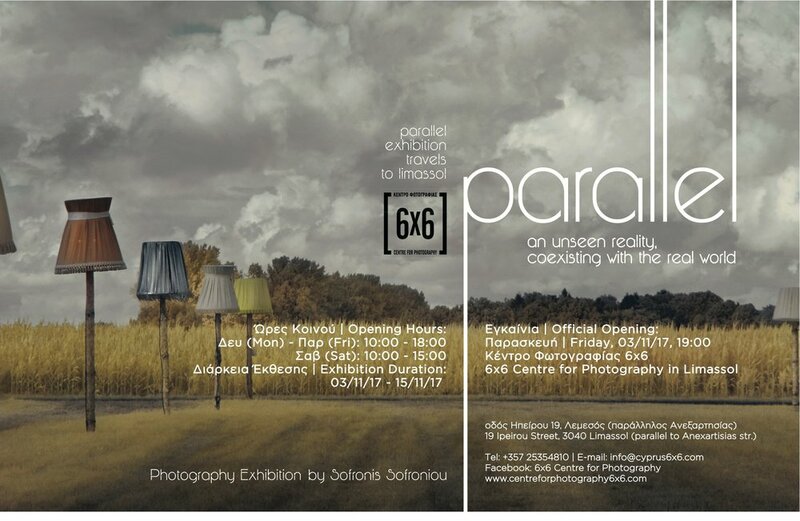 6x6 Centre for Photography presents the photography exhibition PARALLEL, by Sofronis Sofroniou. 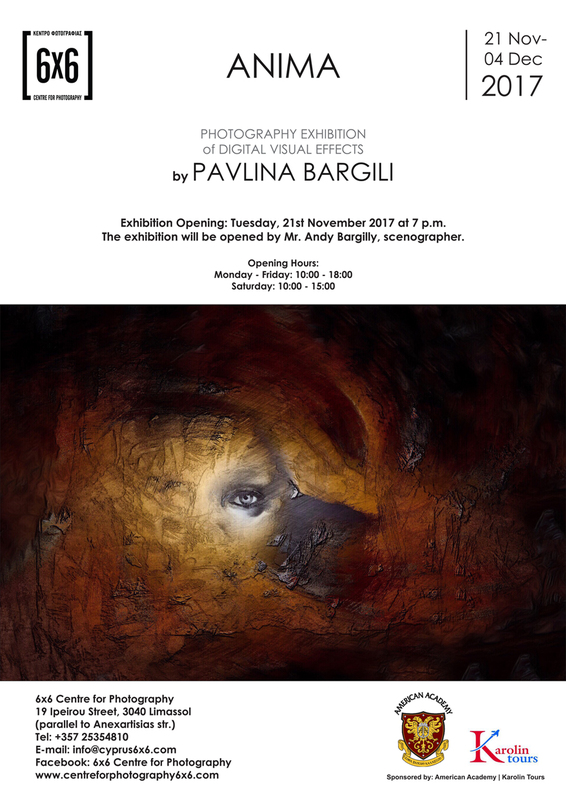 The exhibition will open on Friday, 3 November 2017, at 7p.m. and will remain open to the public until the 15th November. A parallel realism, portrayed through the exploration of the powers of near infrared photography, documenting moments in time. Light within the infrared spectrum is captured at longer wavelengths, unperceived by the human eye. Crossing into the deepest red, a diverse reality is revealed. Sofronis Sofroniou has been experimenting with Infrared Photography since 1998. He works as a Director of Photography in the advertising and film industry and has been awarded for his cinematography in five international short film festivals. 6x6 Centre for Photography invites you to an exhibition of fine art reproductions and photographic prints, created by talented local artists - reproduced and printed at 6x6 on a variety of materials and finishes. Reproductions and reprints of fabulous artworks that last a lifetime will be on show at 6x6 throughout the Summer 2017. Για προσωπικό ραντεβού επικοινωνείτε με το Κέντρο. For private appointments please contact us directly. 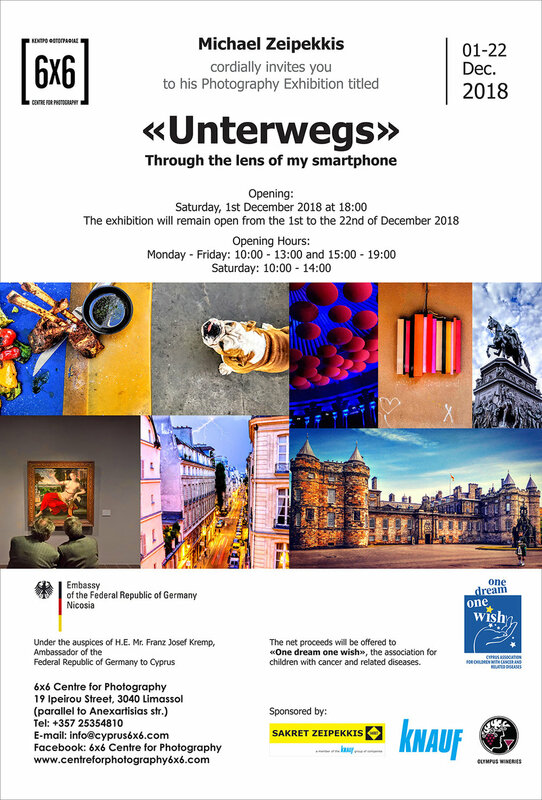 High quality Fine Art Prints of paintings, illustrations, watercolors, mosaics, installations and other works of art created by local artists will be featured in this exhibition. Digital inkjet prints using Archival quality pigment-based inks for print permanence and durability on a variety of materials and finishes. All exhibits are available for sale. Are you an artist interested in reproducing your original work in an affordable way, which matches the standards of the original? Visit this exhibition and explore the possibilities that 6x6 has to offer! To Kέντρο Φωτογραφίας 6x6 παρουσιάζει μια καλοκαιρινή έκθεση με αναπαραγωγές καλλιτεχνικών έργων και φωτογραφίες από δημιουργούς που ζουν και εργάζονται στην Κύπρο. Όλες οι αναπαραγωγές έργων τέχνης και οι μουσειακής ποιότητας εκτυπώσεις σε ποικιλία υλικών έχουν γίνει στο Κέντρο Φωτογραφίας 6x6. Πρόκειται για πιστά αντίγραφα έργων τέχνης σε υψηλή ποιότητα, χρησιμοποιώντας αρχειακά μελάνια σε ειδικά αρχειακά χαρτιά Fine Art με μεγάλη αντοχή στο χρόνο. Τα “Giclée Fine Art Prints” είναι αριθμημένα και υπογεγραμμένα από τους καλλιτέχνες και προσφέρονται σε περιορισμένη έκδοση (limited edition) σε πολύ προσιτές τιμές. Cyprus Third Age Group Exhibition "Cyprus and Beyond II"
Cyprus Third Age Limassol Branch Photography Group (C3A) presents a group exhibition of photographs by its members, entitled, “Cyprus and Beyond II”. The exhibition will open on Friday, the 12th May 2017, at 7p.m. at 6x6 Centre for Photography, in Limassol and will remain open until the 26h May 2017. Part of the proceeds will be donated to charity. Cyprus Third Age (C3A) is a not-for-profit, voluntary organisation, offering an extensive program of activities, lectures and interest groups for persons in the third age. The photography group is one of their most popular and active clubs. Official Opening: Friday, 10th February 2017, 7:30p.m. 6x6 Centre for Photography is proud to announce that the world's first gallery exhibition of the winning images of this year's internationally acclaimed 6th Annual Mobile Photography Awards will take place in Cyprus, at the gallery of the centre, in Limassol. The exhibition will officially open on Friday, 10th February 2017, at 7.30p.m. and it will be showcased at the Centre's gallery until the 4th March, with free entrance for all. Τhe Mobile Photography Awards remains the world's longest running international competition and gallery show exclusively for images shot and edited on mobile devices. This year's competition received an amazing total of five thousand entries from 70 countries across the world, while the photos were judged by 11 professional photographers. Since 2011, the MPA has produced more than twenty successful gallery exhibits in New York, Los Angeles, San Francisco, Toronto, Melboure, San Jose, and more. 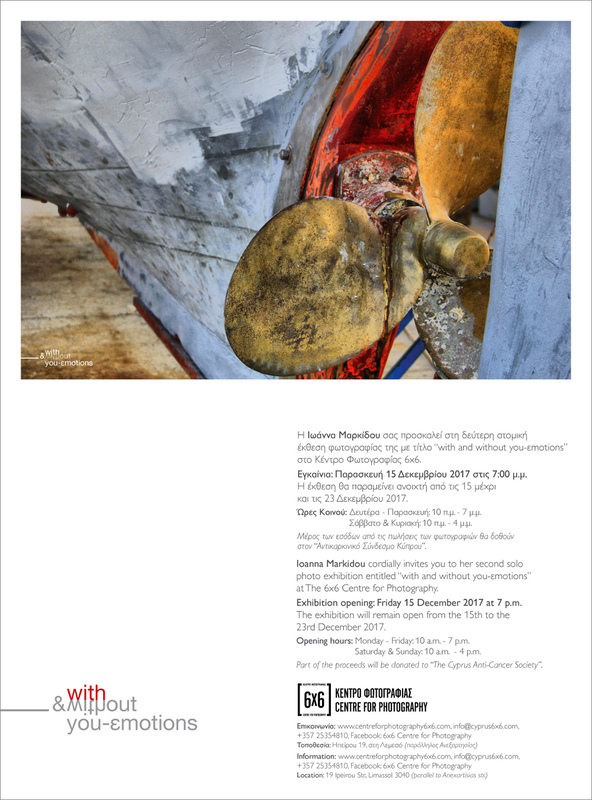 This is the first time that the competition travels for a gallery exhibit and world premiere to Cyprus. Αll the images on display will be available on sale. “At heart, The MPA is an opportunity for people to bring attention to their work at the same time as we bring attention to the work of the community as a whole.” – MPA Founder Daniel Berman. The competition hosts 18 categories, including portraits, still life, photo journalism, and other more specific themes such as silhouettes, water, transportation, to name but a few. Τhe MPA has announced that Giles Clarke of New York is the winner of the Grand Prize 2016 MPA Photographer of the year, as chosen by members of the jury. The grand prize winner will receive the sum of three thousand dollars while all the winners and finalists will receive various mobile photo gear gifts.